Sadly, we lost Donna way too soon when she passed away in 2012. Her legacy endures through her songs to this day. Her music never disappoints: it is my go-to comfort music that will always cheer me up. 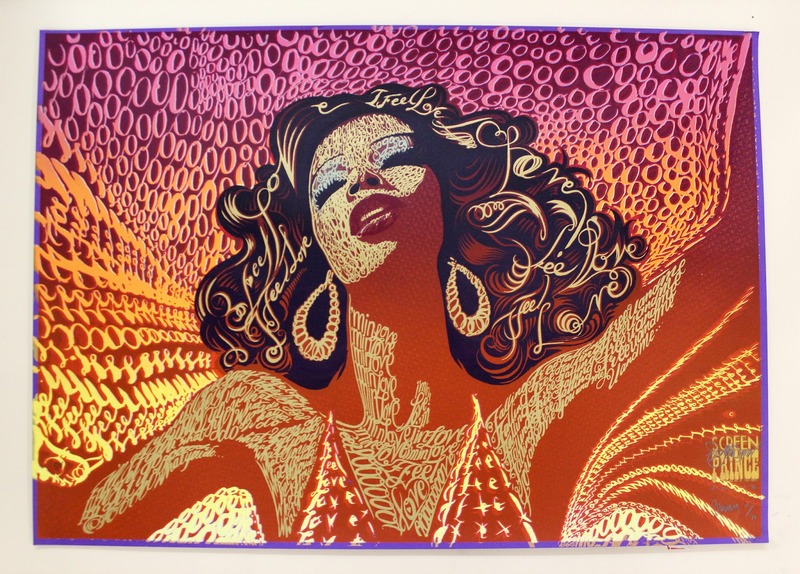 Donna Summer is not to be dismissed as simply the Queen of Disco. This was an apt title, but she was so much more than that. She was trained in classical music, opera, and made it big in Germany with her theatrical performance of Hair. Donna Summer’s I Feel Love inspired the entire dance genre of Techno and House music. Giorgio Moroder wrote and produced this epic dance-song in the summer of 1977. If you have not heard her music, listen to the extended remix of I Feel Love from this page, or try some of her songs on earlier albums. In my opinion, her Live and More album is the best live album ever! She can rock out and sing the blues like the best of them! Needless to say, this rendering of Donna in pure ecstasy reverberates the feeling of love. She’s my musical muse, and the image is a reminder to FEEL LOVE. Wherever you are in the world, I hope you feel the love too. 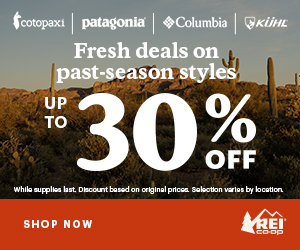 Do you have a Camino love story? 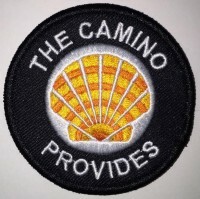 Consider sharing it on the Love, Camino Style page. I am accepting story submissions to feature over the next few months. I can help you craft your story and include your best photos and videos. 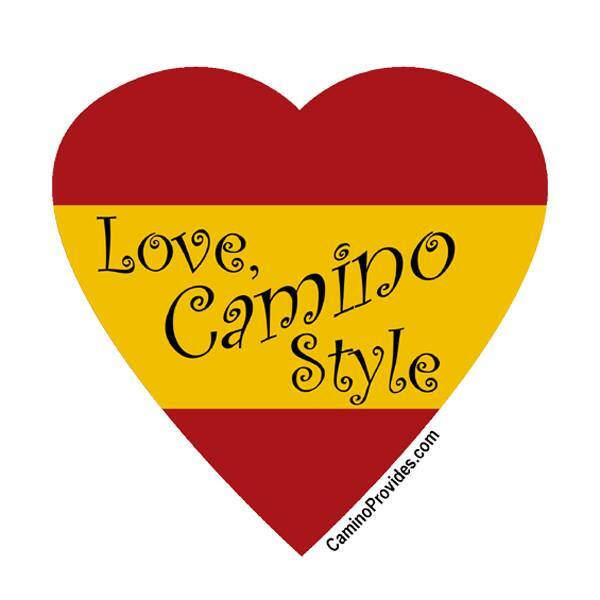 Free Love, Camino Style stickers with each submission! Indeed, love is in the air. I am extending my offer of the free heart sticker with a patch purchase through the end of the month – February 28th. Just write the discount code, “I feel love” in the patch order notes at etsy.com/shop/caminoprovides. How much love can I possibly pour into one post? How about a free download of mandala hearts that you can print and color yourself, or give to your Valentine? I gave these to the students in the yoga class I taught yesterday at work. Coloring can be so relaxing! Download and print Free Coloring Page Hearts (PDF) then cut out. From my heart to yours, Happy Valentine’s Day. And Buen Camino!